“To The Top” SOLD OUT! I feel like the book content connects with Entrepreneurs both personally and professionally. I look forward to inspiring more people to follow their dreams and take action to design the life they dream of! 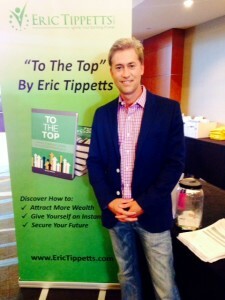 Previous post Eric Tippetts Launches His New Website (erictippetts.com) and His First Full Book (To The Top) Next post Success Tips – Help Others = Feel Good!